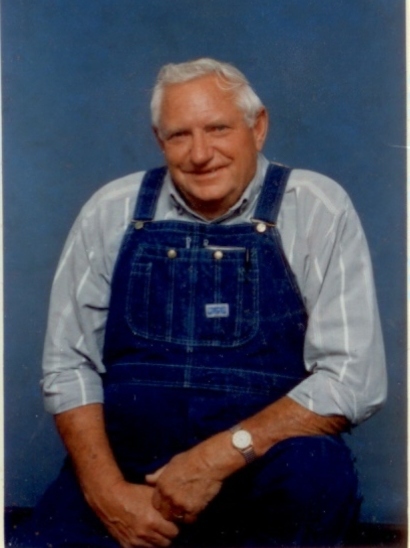 Charles Eugene Spencer, age 81, of El Dorado Springs, Missouri, departed this life on Friday evening, March 9, 2012, at the Lake Stockton Healthcare Facility after a courageous battle with cancer. He was born the youngest son of Charlie and Susan (West) Spencer on June 19, 1930, in Vernon County, MO. Charlie was united in marriage to Wanda Lorene Hamby on April 28, 1951, in Paris, Missouri. To this union three children were born: Michael Eugene, Debra Coleen, and Kimberly Dean. Charles served two years in the U.S. Army, stationed in Germany. Upon returning from the service, Charles worked various construction jobs before beginning employment with the Missouri State Highway and Transportation Department, retiring after 34 years of service. Preceding him in death were his beloved wife Wanda; his son Michael; his mother and father; one sister Viola; and five brothers: Lee, Joe, Jim, Bill, and Dewey. Survivors include two daughters: Debra Mann of Nevada, MO, Kim Goodman and husband Quentin of Shell City, MO; two grandchildren: Amber and companion Michael of Lamar, MO, and Travis Mann, who is stationed in Shindand, Afghanistan; four great-grandchildren: Rylan, Trace, Corbin, and Kaydee; one brother Albert, three sisters-in-law, Hattie Sloan, Laura Spencer, Mary Lou Davis and husband Bob, one brother-in-law Dwight Hamby and wife Sis, all of El Dorado Springs, MO; and a special friend and companion, Nancy Smith of Stockton, MO. Charlie will be greatly missed by a host of family and friends. Funeral services for Charles Spencer were held on Wednesday, March 14, 2012, at 10:30 at Bland-Hackleman Funeral Home. Rev. Brent Bland officiated and Sharon Goodman provided music. Interment followed in the El Dorado Springs City Cemetery with military honors and was under the direction of Bland-Hackleman Funeral Home. Pallbearers were Dale Daniels, Don Ruscha, Kenny Burchett, Robert Spencer, James Raymond Kenney, and Scott Todd. Honorary pallbearers were Gene Dale, Elmer Hopkins, Gary Kenney, Denton Daniels, Darrell Whitesell and Pecan John Byram.